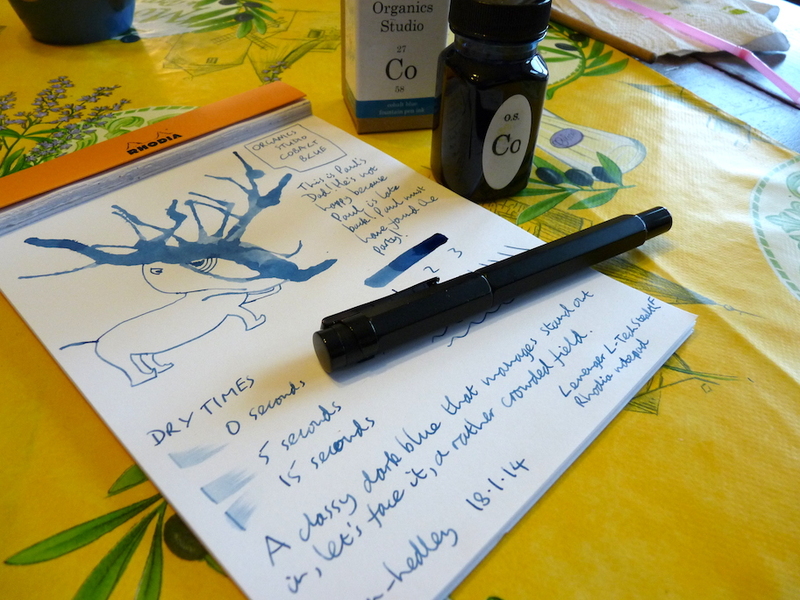 Organics Studio Cobalt Blue ink review – Pens! Paper! Pencils! This is an interesting blue ink. The packaging is nice. A simple cardboard box containing a meaningful plastic bottle, plainly branded. I like it. 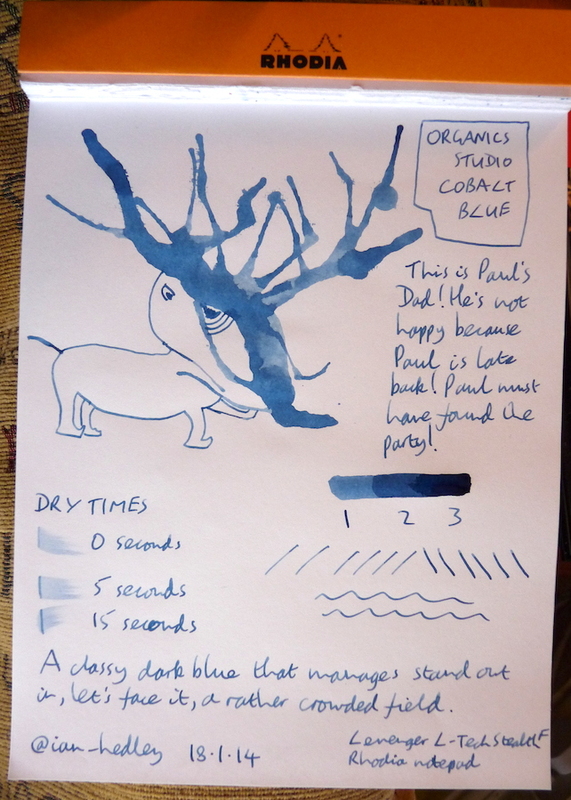 The ink itself is a good dark blue that I haven’t quite seen anywhere else. It’s a watery ink with some shading. I like it a lot. Here’s a video of me doodling the doodle. I’m calling the doodle characters Inklings and I’m thinking about selling them one day in the future. Not the reviews but made-to-order Inklings in an ink of your choice. I’d be interested to hear any thoughts you have either in the comments or via the contact form. Finally, here is a link to Paul, son of today’s Inkling, just in case you missed him.